In today’s market, it can be a challenge to sell your home. Even with low interest rates, buyers expect a lot out a seller when it comes to the condition of the house. Most buyers don’t want to have to make updates to a house and it can be a quick turn off if the kitchen and bathrooms aren’t in pristine condition. Here are some ways to update your kitchen and bathrooms before you put your house on the market. Remodeling a kitchen can cost thousands of dollars. In fact, some kitchen remodels can cost up to $50,000. If you’re selling your house, the last thing you want to do is spend your life savings updating a kitchen you don’t intend to use long term. However, there are small and inexpensive ways to update your kitchen to get it market ready. Replacing old knobs and pulls from kitchen cabinets and drawers can make a huge impact on the look and feel of the space. Most hardware stores will have a large variety of knobs to pick from that are simple and modern. Instead of spending an arm and a leg replacing old cabinets, repaint them for a fresh look. Create a more open feel with white or light gray color that matches the appliances. If your kitchen countertops are in need of a facelift, don’t jump to replacing them. Having a professional come in and refinish your countertops can completely revitalize your kitchen, giving it a brand new feel without the huge cost. The average cost of replacing countertops is upwards of $5000. Having a professional refinish your countertops typically costs less than a quarter of the price and can significantly increase the value of your home. From a buyer's point of view, bathrooms are almost as important as the kitchen when it comes to the curb appeal and condition. No one wants to walk into a bathroom that still has the original pink tile on the walls and hasn’t been touched since the 70’s. Remodeling your bathrooms can get very pricey but there are some simple and quick ways to help update it without dipping into your savings. Bathroom ventilation fans can be a huge eye sore, especially if they’re old. Replacing the fan with a new, bigger, energy efficient fan will not only look better - it will perform better, keeping your bathroom dry and less susceptible to water damage. Framing your vanity mirror can instantly modernize your bathroom and give it an elegant feel. This is a quick DIY bathroom project that can be easily done on a weekend day, bringing your bathroom to life and giving a focal point of the space. A fresh coat of paint on the bathroom walls can go a long way. Pick a neutral color that matches the current fixtures and can resonate with the masses. The last thing a potential buyer wants to see in a bathroom is a dingy, old, rusted bathtub. Instead of spending thousands of dollars on the supplies and labor to replace it, have a bathtub refinishing expert come in and give your old bathtub new life. 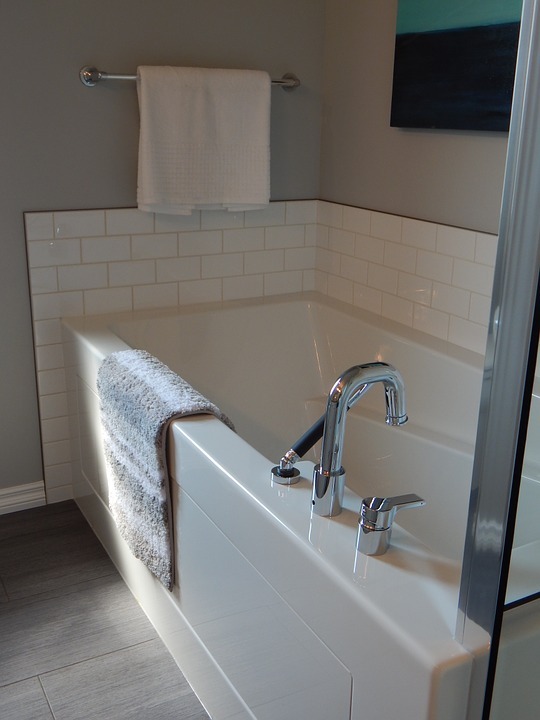 Refinishing a bathtub cuts down significantly on the costs of remodeling your bathroom and can have a huge impact on the value and curb appeal of your home. Ready to make upgrades to your kitchen and bathroom? Topkote Pro’s offer experienced and professional bathtub, tile, and countertop refinishers to help update your home and increase the value before you sell. Do you want to learn how to refinish bathtubs and countertops? Train with top professionals in the industry and start working for yourself and making extra cash now. Topkote’s bathtub refinishing training is the best in the business, giving you hours of hands on experience and equipping you with the best techniques and commercial grade supplies on the market today.